After a very successful first foray in 2015, a heavy weight pro golf event is returning to the Hawkesbury Golf & Curling Club. It will play out on June 8-10 in Hawkesbury (1 hour southeast of Ottawa) with the entry deadline for eligible players coming up this week, at 5 p.m. on Friday, May 27. A pro-am will take place on June 8 to be followed by 36 holes of stroke play competition on the 9th and 10th. The field for the event is capped at 132 players with 124 spots being offered to professionals. They will compete for a $50,000 purse, with $49,000 allocated to the professionals and a first place price of $10,000. Amateurs will play for $1,000 in vouchers. In 2015 Dave Levesque rolled through 36 holes in 9 under par, with rounds of 70 and 65 to best Ottawa’s Lee Curry by two strokes and take the 10k top prize. Eligible pros for the event include Class A professionals and candidates for membership for the PGA of Canada. The CCPT has an affiliation with the Great Lakes Tour and their National members are eligible. 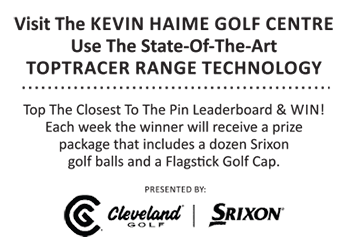 The amateur spots consist of the 2015 Hawkesbury G&CC Club Champion, the reigning amateur champion of the Hawkesbury Invitational and 6 players from a qualifying tournament held at Hawkesbury G&CC.